Koei Tecmo is bringing Warriors Orochi 4 to the PlayStation 4 this month, bringing with it a chance for people to fight their way through even more hordes of enemies than usual with characters from the Dynasty Warriors and Samurai Warriors series. Of course, you don’t have to go it alone. Online multiplayer is an option, and Producer Masaki Furusawa and Director Tomohiko Aoki team up in a new video to show exactly how this will work. 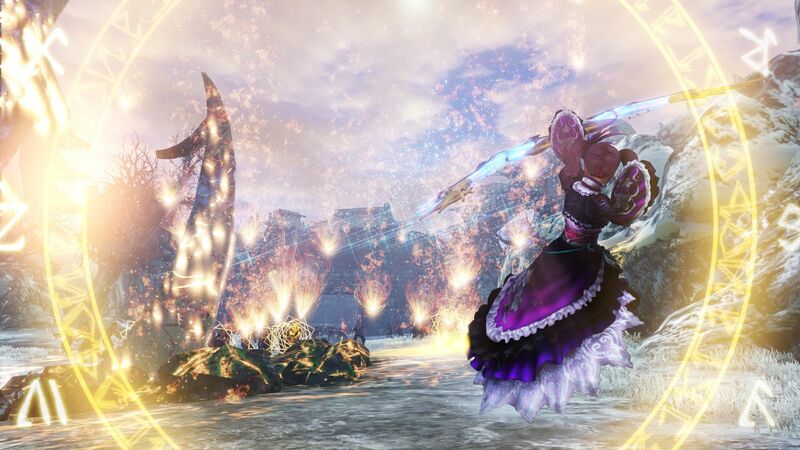 Watch Furusawa and Aoki take to the battlefield together in Warriors Orochi 4. This Warriors Orochi 4 trailer begins with the two members of the development team introducing their characters. Furusawa is using Huang Gai from Dynasty Warriors, who fights using a ship, while Aoki uses Zhou Tai, a Dynasty Warriors character with a sword. While they are fighting in this competitive Battle Arena mode, it is essentially a three versus three battle. If your side captures all three bases before the other in Warriors Orochi 4’s Battle Arena, you win. Capturing means standing still in front of the base, which means you essentially have to leave yourself prone. Though, if time runs out during a match, the person with the most bases at the end of wins. Warriors Orochi 4 is looking like it could be one of the biggest installments in the series. It won a Guinness World Record for its number of playable characters. It is also the first installment to add gods, like Zeus and Odin. Warriors Orochi 4 will be making its PlayStation 4 debut on October 16, 2018 in North America and on October 19, 2018 in Europe. You can already pick up Japanese copies. Are you ready to team up with friends and use characters from various Koei Tecmo franchises to beat up anything in sight?